Monetary donations. Funds will be used for Stillwater Community Center improvement projects. All finances of this organization are managed by the Stillwater Community Center Foundation. Donations to this 501(c)(3) organization are tax deductible. If you are over age 70 and your retirement plan has a Required Minimum Distribution, you can direct your RMD to this charitable organization, benefiting the Foundation/Friends of the Stillwater Community Center and possibly your tax liability. Please consult your tax professional. Attend a Meeting. Friends of the Stillwater Community Center meet monthly, at noon on the first Thursday at the Stillwater Community Center. Meetings are open to the public and anyone interested in learning more and getting involved is welcome to attend. Volunteer. It takes many individuals to achieve a goal. If you are a concerned community member, have expertise in marketing, leadership, or technology, desire to share memories, or want to help craft a vision for the future of the SCC, you are welcome to volunteer with the Friends of the Stillwater Community Center, Inc. Contact us to indicate your interest in supporting our efforts on behalf of the Stillwater Community Center. 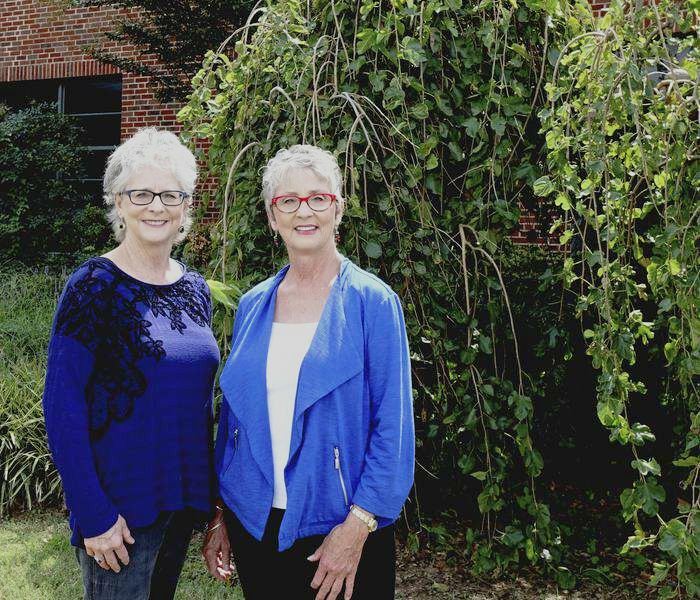 Nancy Beckstrom and Ann Houston, founding members of the Friends of the Stillwater Community Center, Inc., stand in front of the International Friendship Garden on the Stillwater Community Center grounds. Improve and/or create signage throughout the facility interior and exterior. Project #2: "Curb Appeal" COMPLETE! Improving the exterior of the Stillwater Community Center through landscaping, new paint, signage, lighting, etc. Project #1: "Dining and Event Hall" COMPLETE! Remodeled the dining room which is utilized Mon-Fri by the federally funded senior citizen nutrition program, "Project Heart." This project involved purchasing new lightweight, durable tables and chairs that are sturdy and easy to move. Painted the exterior entry, interior dining area, restrooms, kitchen doors, frames, and walls. Replaced ceiling tiles. Installed new "restaurant-grade" wall coverings in the kitchen and serving area. Replaced doors and laminate facade. Installed new lighting and upgraded existing lighting. Purchased and installed television(s). Replaced refrigerator/freezer. Upgraded storage closet.